I spent far too long this morning trying to get posts from a particular subreddit to show up in a particular channel on a Discord server I belong to. There was a lot of bad and wrong information out there on how to do this, and finding the correct way took me down many incorrect pathways. Essentially, the Discord webhook is a very simple Discord bot that is fed content by IFTTT when someone posts to the subreddit of interest. The webhook takes that content and feeds it to the channel you desire. For the record, this is the way to do it. A sufficient user role to edit the channel settings on Discord of the channel you want to post your Reddit content to. Webhooks capability enabled for your Discord user role *and* for the channel you want to use. See here for more info on how to enable Webhooks. An If This Then That (IFTTT) account. Optional: an image/icon for the webhook. This will show up for the account that will be posting the Reddit post to your Discord channel. I used this one. Let me preface this by saying that these instructions were created using the desktop version of Discord and a desktop web browser. It may be a little more tricky on mobile, and what you see may be a little different, but perhaps not. Create a webhook for your Discord Channel. 2. Click Webhooks in the left-side menu, then click the blue Create Webhook button on the right. 3. Give your webhook bot a name such as “Reddit post bot” and select the channel you are having it post to. 4. This is where you can optionally upload an icon for this bot. 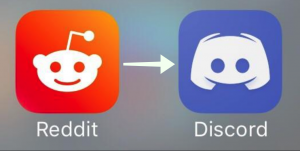 This will show up as the user icon when this bot posts to Discord. 5. Copy the Webhook URL, or keep it handy, so that you can paste it elsewhere in a few steps. 8. Open your IFTTT account, go to My Applets, then click New Applet. 9. 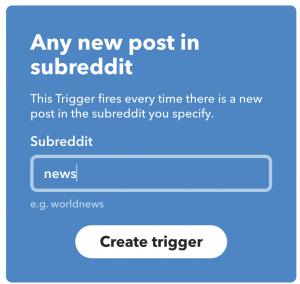 Click the blue “+this” to add the first action. 15. Now you can paste the Webhook URL you created in Step 5 above into the URL field here. Optionally, you can change the “I have received a new post!” text to anything you want to show up any time there is a new post to Discord from this bot. Leave all the rest of the code as-is. That’s it! Any new posts in the subreddit you chose should now show up in the Discord channel you chose. Keep in mind that it isn’t instant. It usually take about 15 to 30 minutes for new posts to show up for me, for whatever reason. If anyone knows how to speed that up, please feel free to post the solution in the comments section below. Next Post Is Complete Privacy Really Such An Obvious Answer For The Facebook Scandal? Doesn’t seem to work mate..
Getting an “applet skipped” error on ifttt.com.